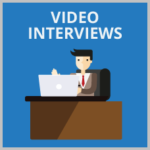 Have you been asked to take a spatial awareness test or a spatial reasoning test as part of an upcoming interview process? What a spatial awareness test is. 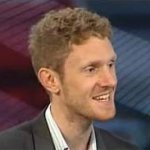 Why employers use Spatial Awareness tests to assess candidates. Which roles Spatial Awareness tests may be a requirement for. 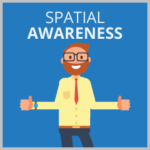 What is a Spatial Awareness (Reasoning) Test? 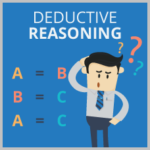 Spatial reasoning tests are also known as spatial awareness tests. 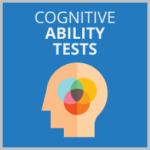 These tests are used by employers to understand how far a candidate’s visuospatial skills go in both 2-dimensional (2D) and 3-dimensional (3D) spaces. We have included a few sample questions with explanations below to familiarise you with a few of the concepts you will be evaluated on during your testing day. The answer is Option 1. Option 1 – The facet at the front represents facet number 4, the top facet represents facet number 2 and the facet on the right represents facet number 5. This is the correct option. Option 2 – If the top facet and the facet at the front represent facets 5 and 2, respectively, then the shape on the right facet should be facing the opposite direction and located at the opposing side of the right facet. This option is incorrect. Option 3 – There are two kinds of U shapes in this diagram. The two kinds are represented in the top facet and the facet on the right. In this option, both U shapes are located at the same end of the facet (parallel to each other); based on the main diagram, it is evident that there aren’t any facets in which both kinds of U shapes are situated next to each other. This option is incorrect. Option 4 – If the facet at the front represents facet number 6 and the facet on the right represents facet number 2, then the top facet should represent facet number 5, yet it does not. This option is incorrect. In this section of a spatial reasoning test, you will need to identify which images are rotations of a given image that are not mirrored. *Note that answer options D and E are incorrect even though they are mirror images of the original. 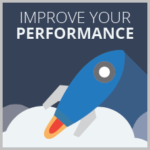 Practising prior to this or any other test is the most surefire way to surpass other applicants. JobTestPrep offers comprehensive and up-to-date Spatial Reasoning test practice online. Their team of test developers use a combination of research and customer feedback to ensure their practice tests mimic the actual tests used by employers. Their exclusive Spatial Reasoning PrepPack™ includes everything you need to ace your tests. From in-depth practice tests, full answer explanations and study guides, you will know what to expect and how to respond to each question come test day. Start practising today to increase your chances of success. 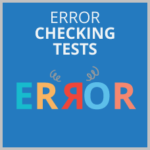 ← Error Checking Tests: What Are They?